New Winter 2018: A rare find in fully 3-dimensional detail charging upfield in full gear, this player is ready to make a pinpoint pass or fire the ball toward the net. 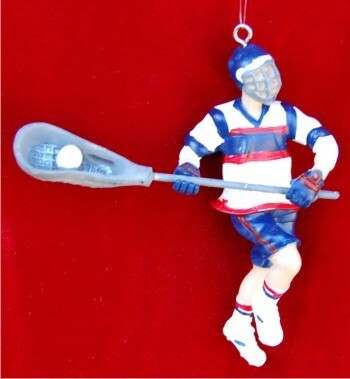 The male lacrosse goin' for the goal personalized Christmas ornament features lifelike action and excellent detail. 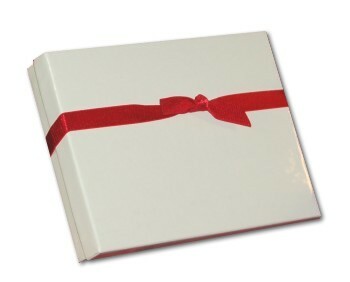 It's one of our popular lacrosse ornaments personalized for the player to create a lasting keepsake of a memorable season. Coaches choose them for the whole team to produce unity while parents and fans select these sports ornaments for their favorite players. Show your support for his participation and success this season with the male lacrosse player blue personalized Christmas ornament that ships in our classic velvet gift and storage pouch.